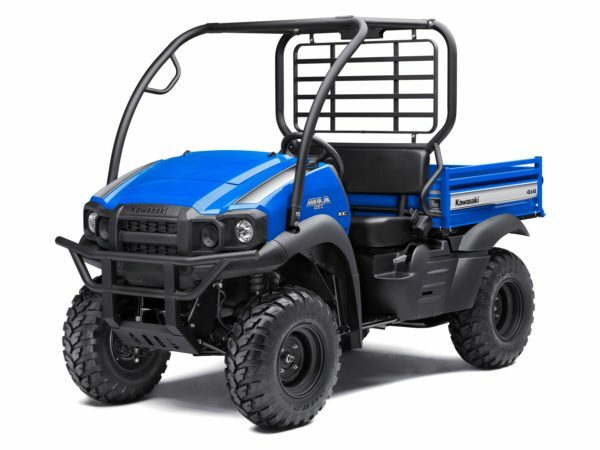 Intimidator utility vehicles just have been added to the Smallvehicleresource.com vehicle database. 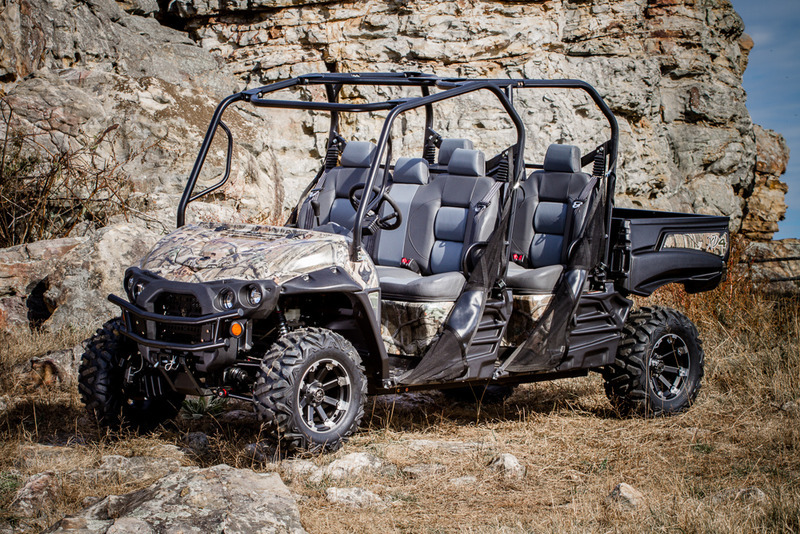 Intimidator UTVs are manufactured in Arkansas and include a Classic, Truck and Crew series of vehicles. 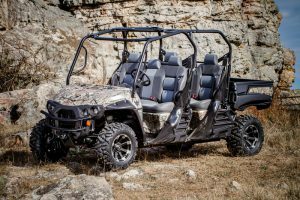 Depending on the series a range of powertrain options are available including a 1000cc Kohler diesel engine, a 750cc Kohler gas engine, Intimidator’s own 800cc gas engine and a 48V AC electric motor. While the Intimidator UTVs are designed for work and trail riding, the feature set and lower top speeds indicate they lean more towards work applications. However, they do feature 27″ tires, 10″ of suspension travel and 12″ of ground clearance that should work nicely on trails. There is also an Enforcer model more targeted at trail riding which will be detailed later. The Classic series includes all four powertrain options and includes features such as a 1,200 lb. capacity cargo bed, 2,100 lb. towing capacity, 27″ tires with steel wheels, 12″ of ground clearance, dual A-arm suspension, hydraulic disc brakes and front brush guard. The Crew series includes all the powertrain options except for the electric powertrain. This series has similar features to the Classic series but seats six. The Truck series is available with either Kohler powertrains and has similar features as the Classic series but is outfitted with a 6-foot cargo bed that can fold-down into a flat bed. 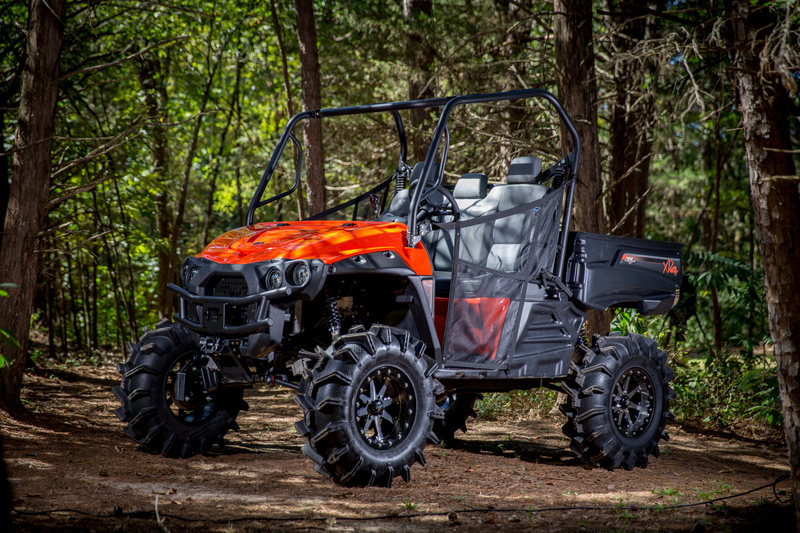 The Intimidator utility vehicles vehicle is designed for trail riding. 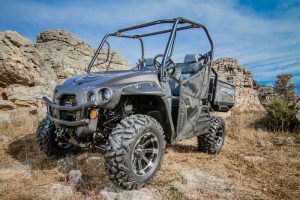 With a SxS Gear portal lift the Enforcer features 4″ gear lift, 30% gear reduction, 32″ motoboss 6-ply tires, true beadlock MSA wheels, 18″ ground clearance, wide track width, Elka shocks and power steering. This model is powered by Intimidator’s own 800cc gas engine with EFI and 65 hp for a top speed of 55 mph. A number of Intimidator dealers have also been added to the SVR Dealer Directory. If you are already in our directory you can create an account, link to your directory listing and enjoy a free trial of SVR’s Request for Quote service. If you aren’t in our dealer directory then join our directory and signup for SVR’s Request for Quote service for free. The Ranger XP 1000 EPS in Nara Bronze. 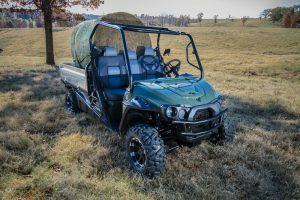 www.texasoutdoorsnetwork.com – Video walk through, first drive and review of the Hunter Edition which adds camo bodywork, winch, cut and sew seats, gun scabbards and active descent control. 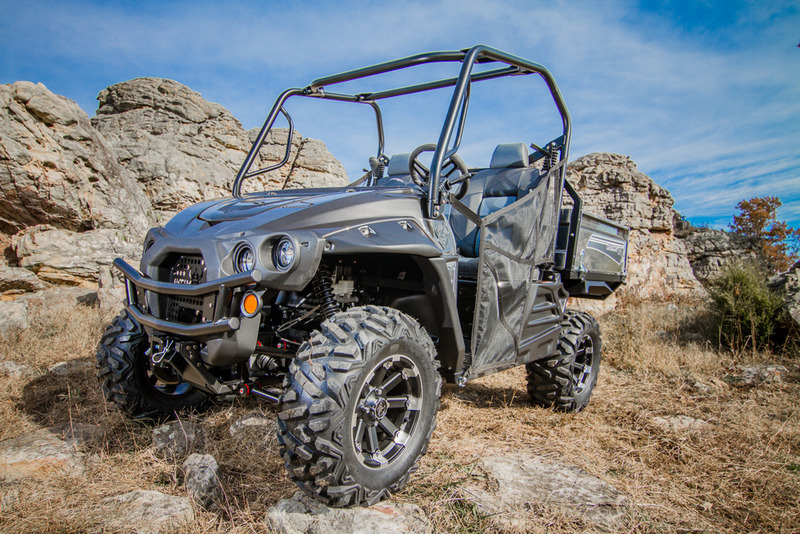 Polaris – Video comparison of Ranger XP 1000 and Honda Pioneer 1000. This is produced by Polaris so obviously it shows the Ranger in a better light. More interesting is some of the comments left by users. First though, some of the advantages of the Ranger XP 1000 as pointed out by Polaris. 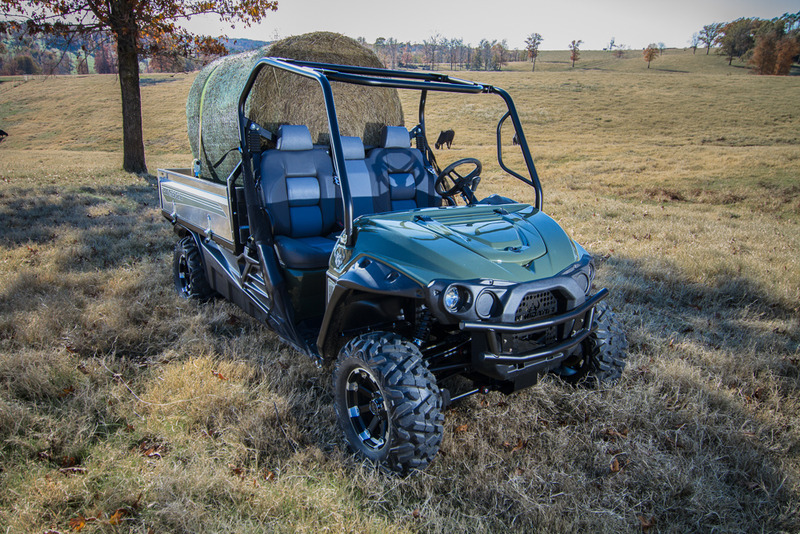 Vehicles like the Kawasaki Mule SX 4×4 XC are being marketed to government and fleet buyers. Kawasaki recently added a section on their website specifically for government and fleet sales. 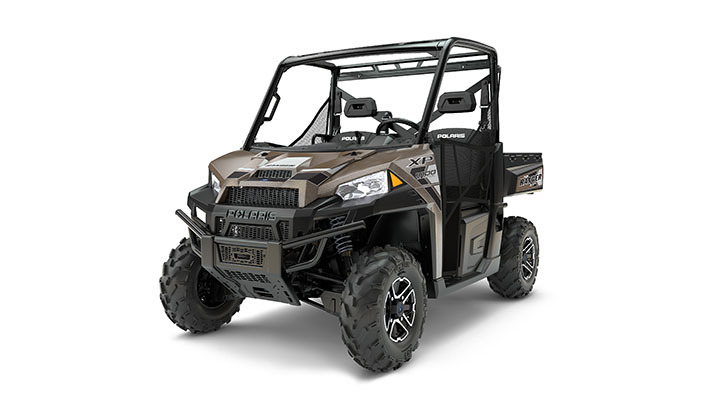 The fleet sales section includes links to information on their work and recreational side-by-sides as well as ATVs. The government section includes motorcycles and personal watercraft in addition to side-by-sides and ATVs. There is also contact information for Michael Jacobs, Kawasaki’s government and fleet sales manager.